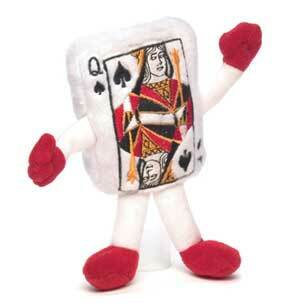 This is a soft 6" queen of spades playing card that can be directly imprinted on. This card is a great promotion for casinos! This stuffed animal is from our Limited-Edition line of plush toys. This product complies with all U.S. Consumer Product Safety Improvement Act (CPSIA) product safety requirements. Safe for children of all ages.